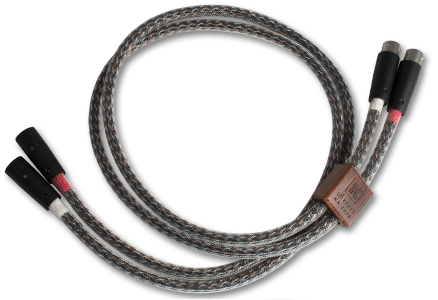 Hyper-pure solid core silver and copper, V-fluorocarbon dielectric, orthogonal geometry, ESD yarn, dual concentric core. Six conductor version. Balanced XLR model.